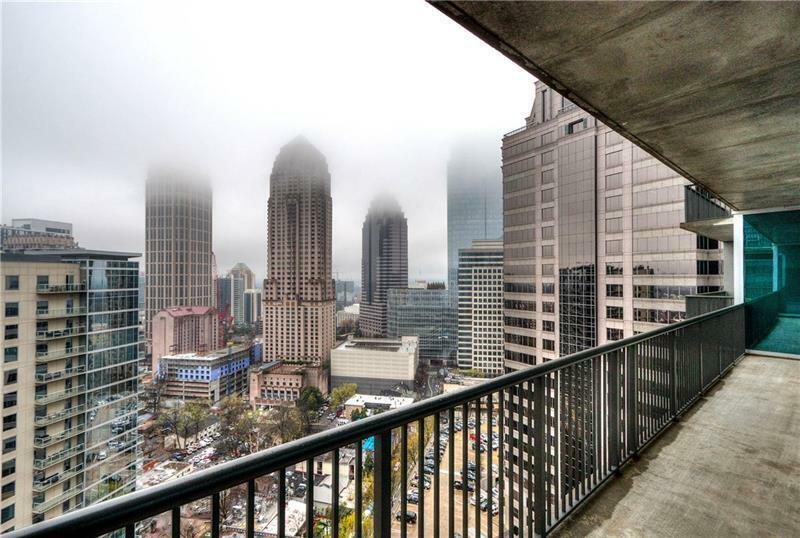 Fabulous view of the Atlanta City sky line from this 22nd floor 2/Bd, 2/Ba Midtown home. 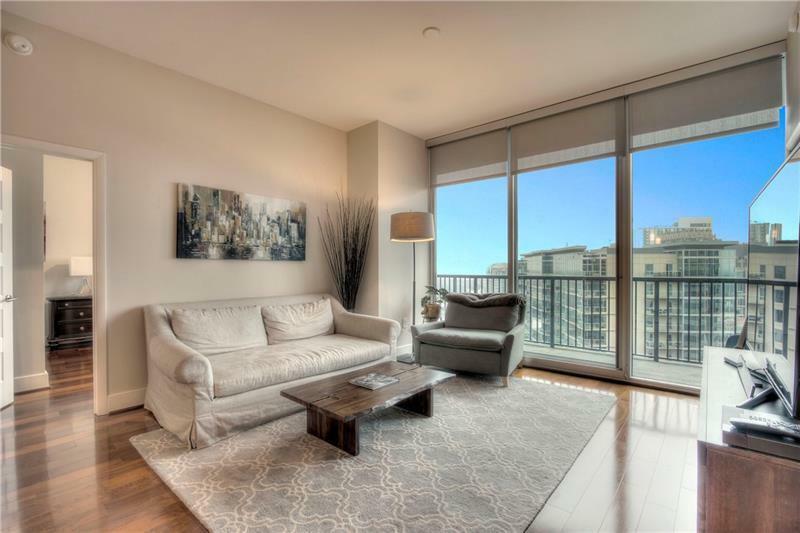 Walk into the door and you are overwhelmed by the city and the amazing features of this unit. 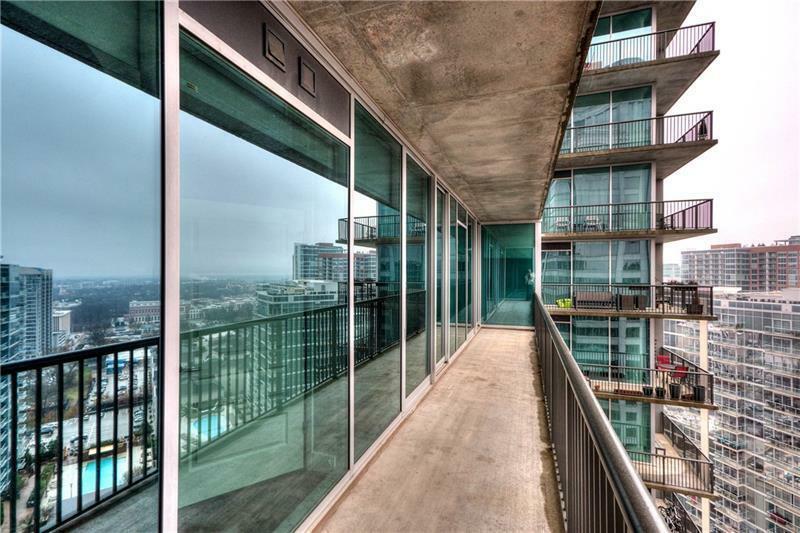 All Hardwoods, granite counter tops, stainless steel appliances, Blue tooth thermostats, a large walk out onto balcony. It is a must see to appreciate this life style. This unit comes with 2 spaces reserved for this unit. 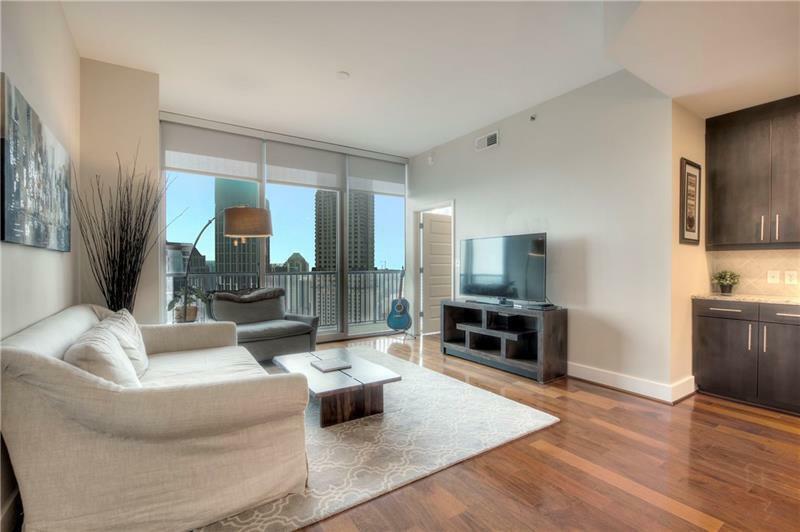 It is a short walk to the Marta Station, Fox Theater, parks, shopping, coffee house and restaurants to have a vacation ever day without leaving home!